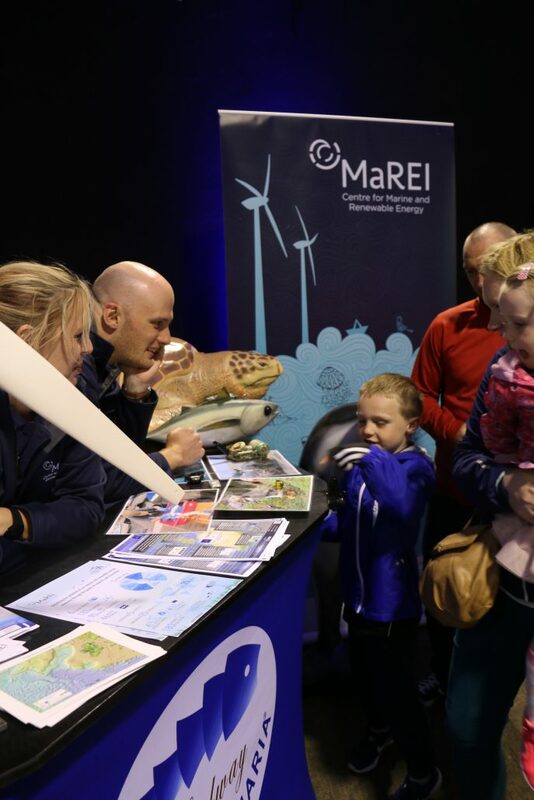 MaREI and Galway Atlantaquaria meet the masses at SeaFest 2017! SeaFest, Ireland’s national maritime festival, attracted over 100,000 visitors to Galway Harbour during the three day event, offering a platform to engage the public in the importance of our seas and the contribution to our local and national economy, with Ireland’s ‘blue economy’ now performing better than the general economy. Galway Harbour was transformed into a giant interactive ‘sea world’ for the three day festival. The waterfront was awash with non-stop activities and entertainment for all ages. Children got creative with the art and craft workshops in the dedicated Kids Zone, and enjoyed storytelling sessions, face painting and marine-art installations. Roving seafaring entertainment from sword-fighting pirates and giant sea themed puppets also added to the exciting carnival atmosphere. 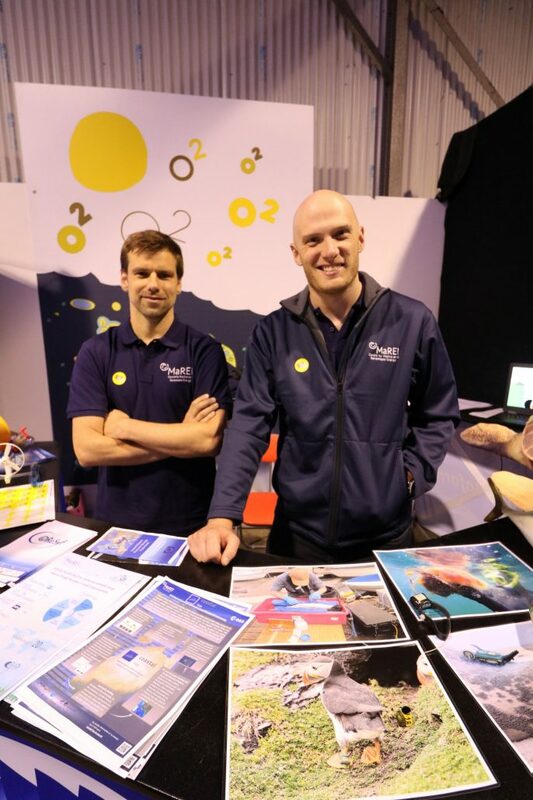 MaREI and Galway Atlantaquaria teamed up to present an interactive exhibit at SeaFest on June 30th-July 2nd. 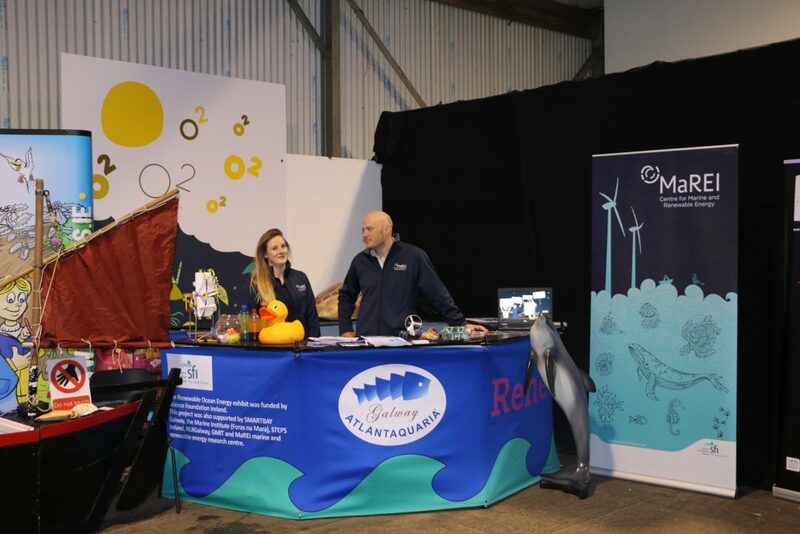 Visitors to the ‘Discover Oceans of Energy’ stand were invited to learn about our seas, their value and inhabitants with hands-on activities for all ages including marine and renewable energy models and marine themed arts & crafts. 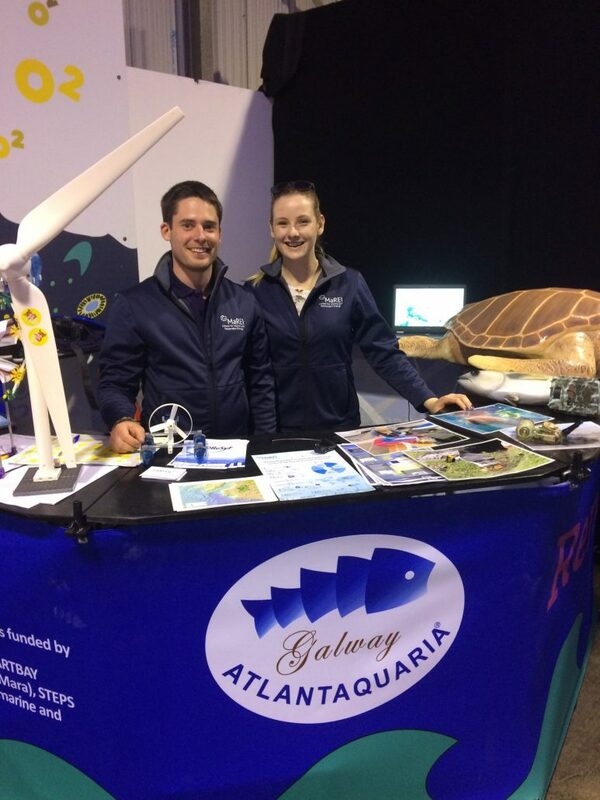 In 2016, Galway Atlantaquaria carried out a Renewable Ocean Energy Project with funding from Science Foundation Ireland which was also featured at the stand. This project was carried out in collaboration with the MaREI Centre, Smartbay, Marine Institute, the National University of Ireland Galway and Galway Mayo Institute of Technology. MaREI debuted their new short animation ‘Sea Strike’: A light-hearted look at what an oceanless world would look like, reminding us why we should take better care of our most valuable resource.